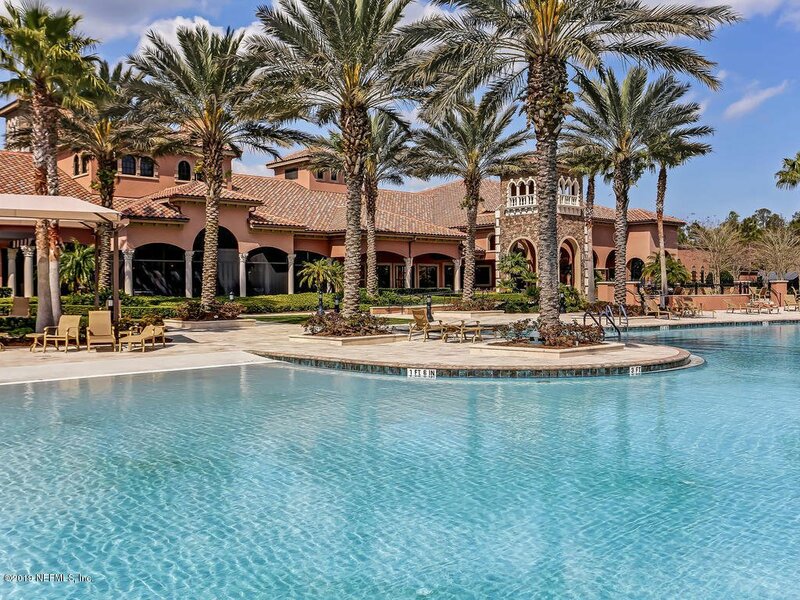 Welcome to your happy place! 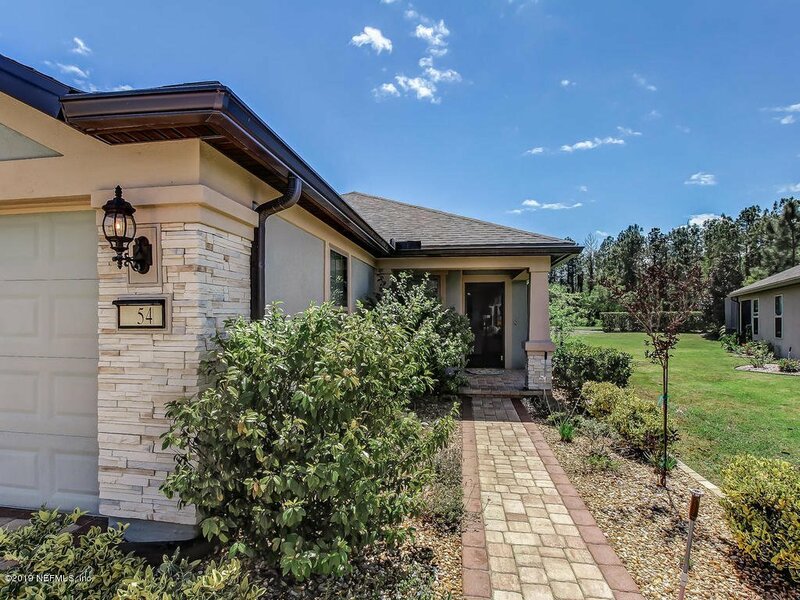 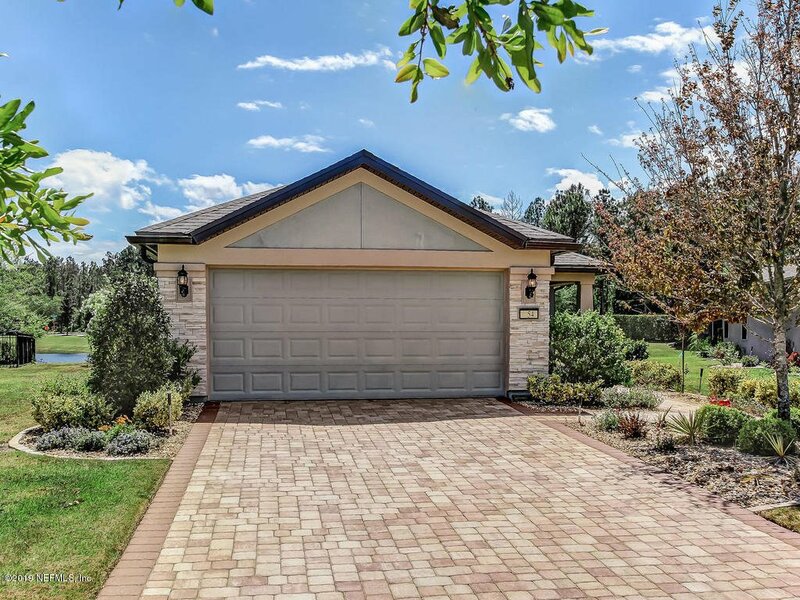 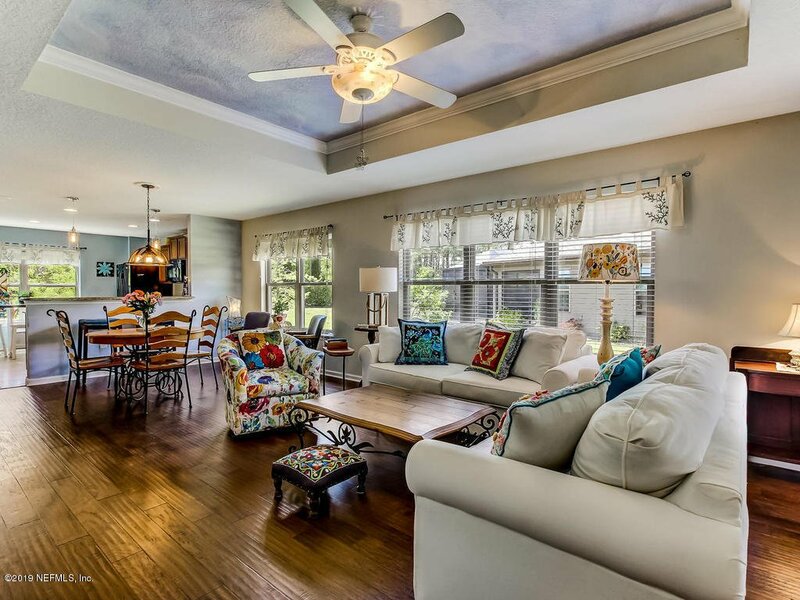 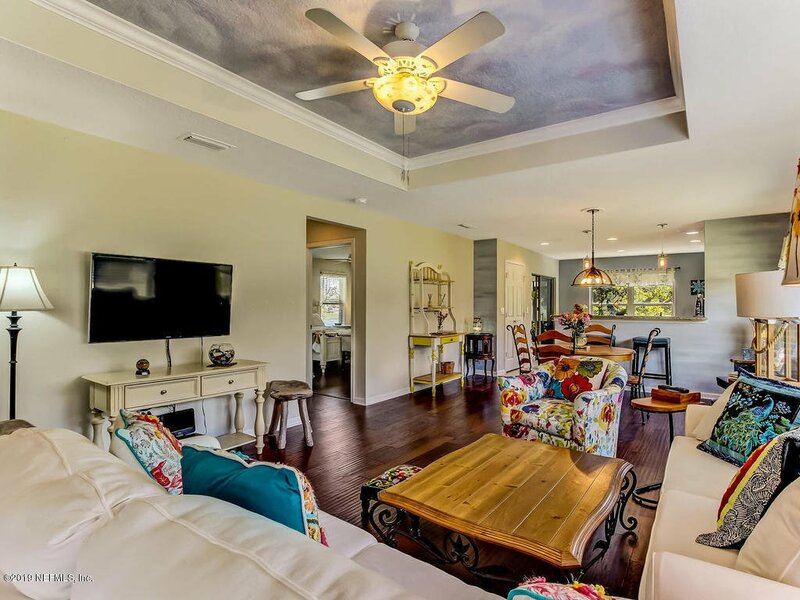 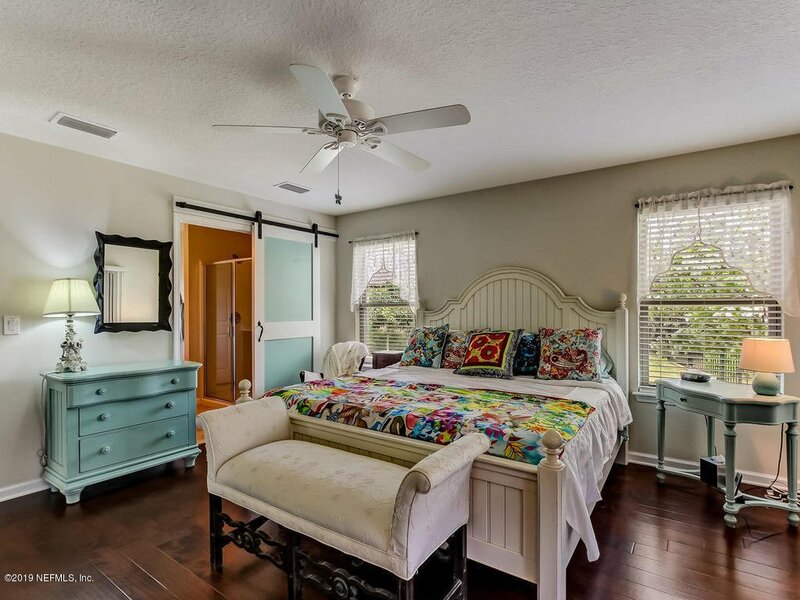 Light, bright popular Pine Springs model offering a desirable open floor plan with split bedrooms that provide privacy for visiting family and guests! 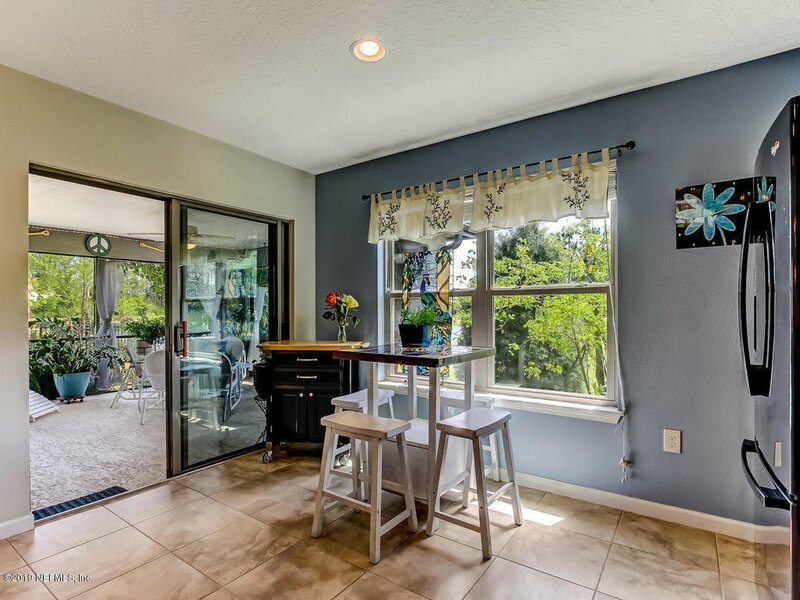 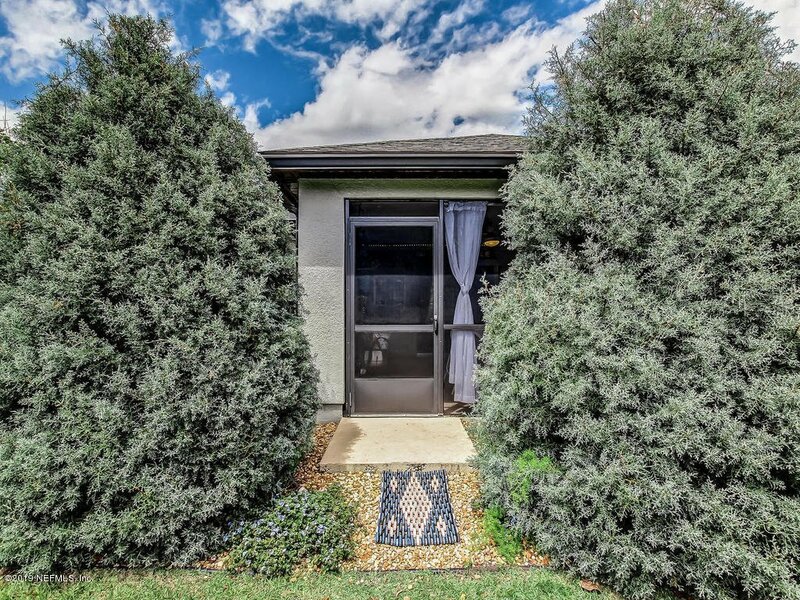 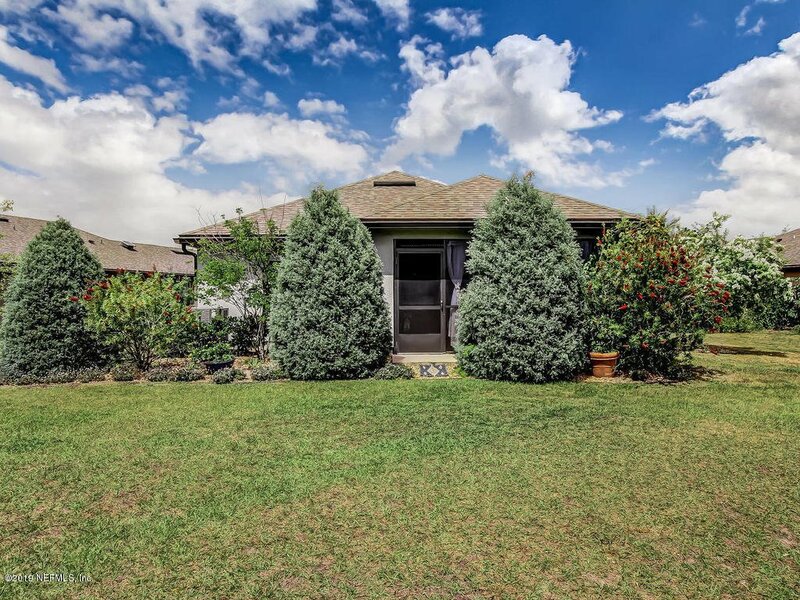 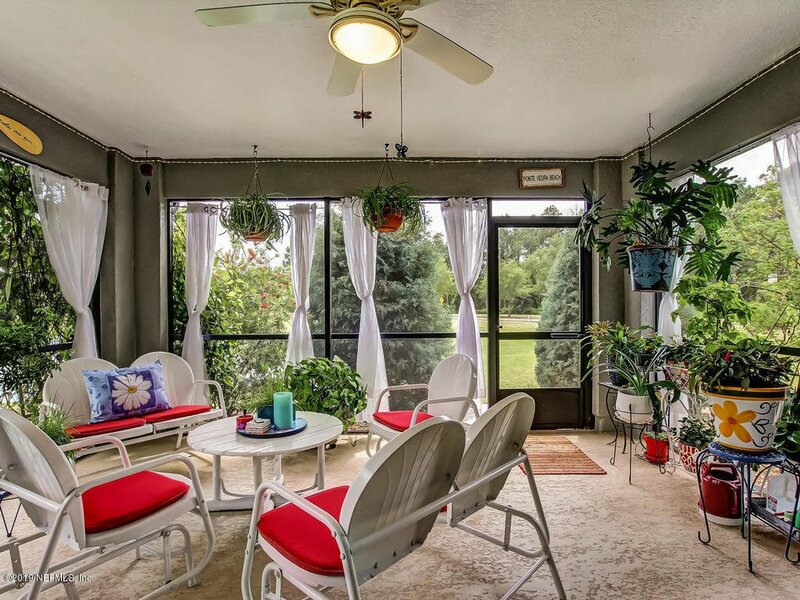 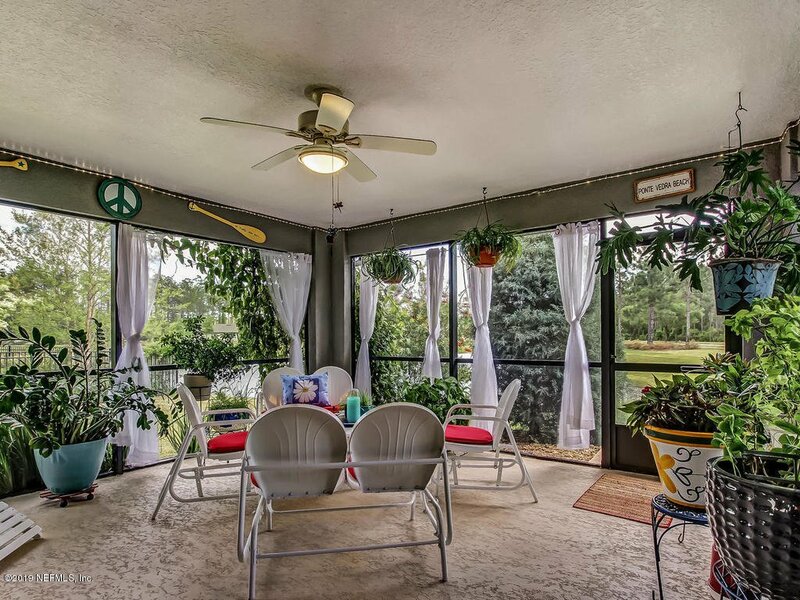 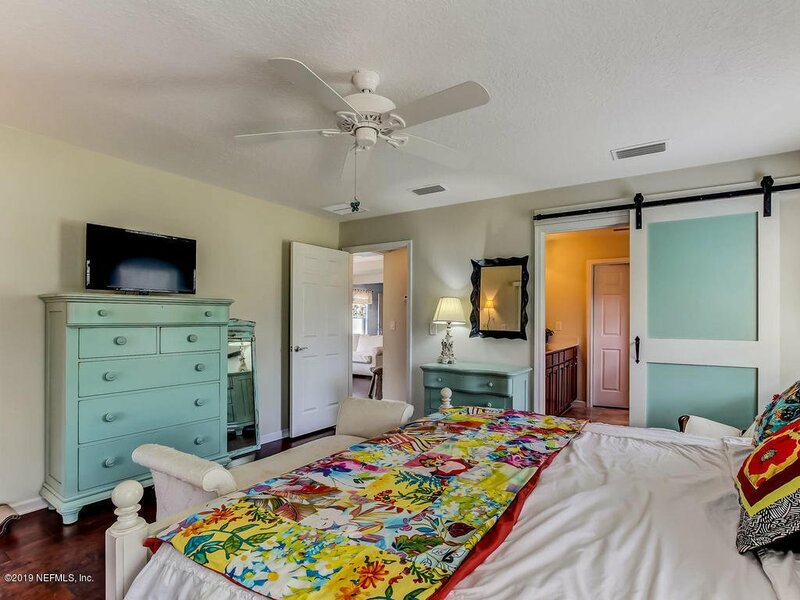 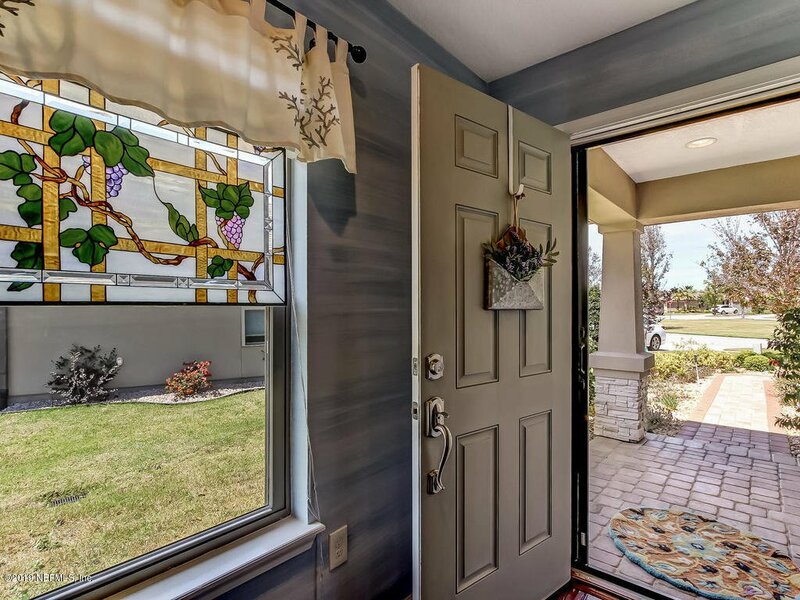 This home sits on an oversized lot and has an absolutely amazing 16 x 16 screened lanai that overlooks a lake and a yard that is lushly landscaped for privacy! 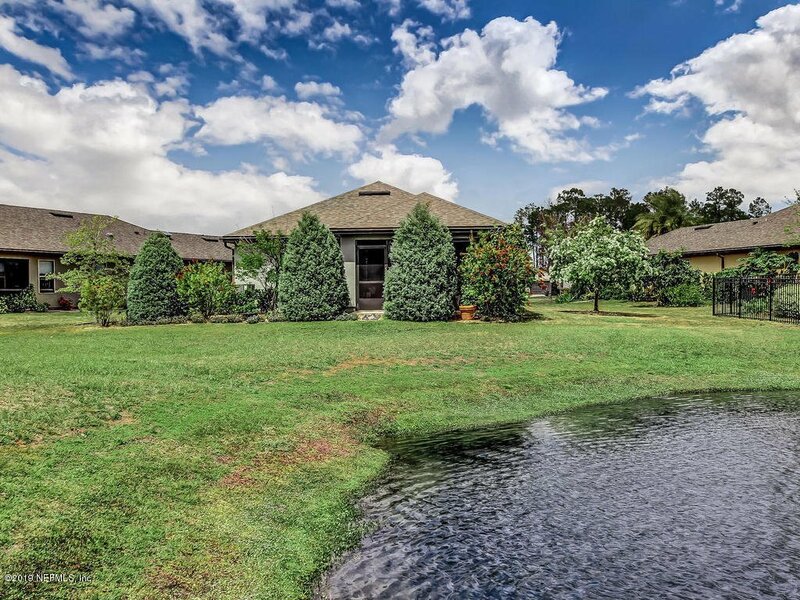 You will find yourself wanting to spend all your time there enjoying the gentle breeze while you watch the activity of beautiful native birds and water fowl . 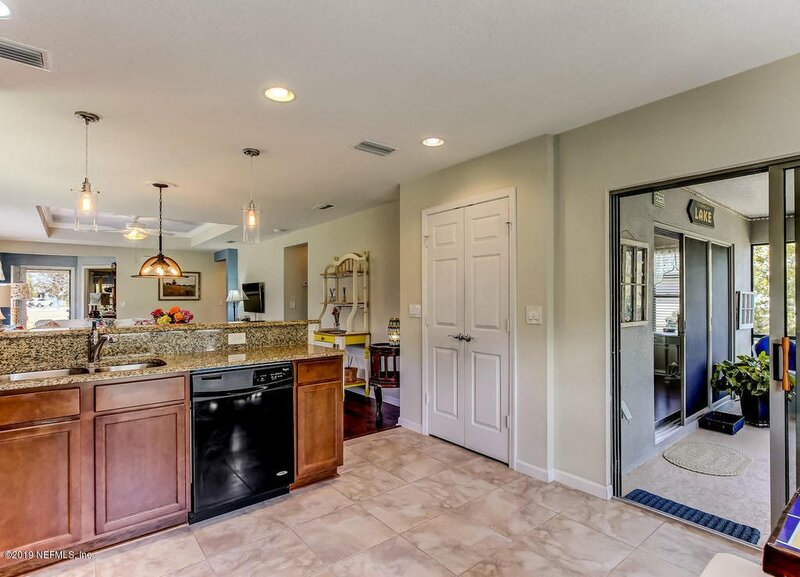 Inside the home, you will find so many upgrades, including hardwood flooring, gleaming granite with extended kitchen counter for comfortable bar seating, water softener, screened front door and garage door, fabulous lighting, including (see MORE in Supplement) pendant lights, a solar tube, whole home surge protector and a pavered driveway, walkway and porch. 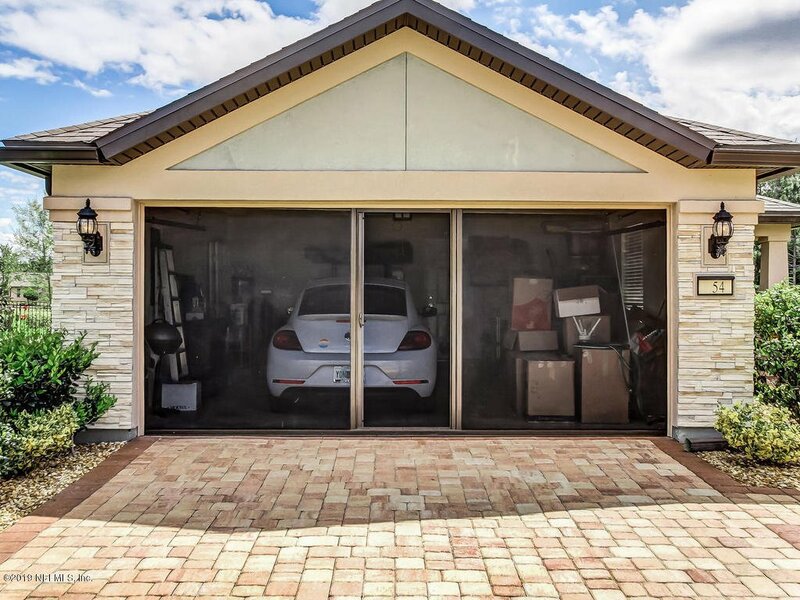 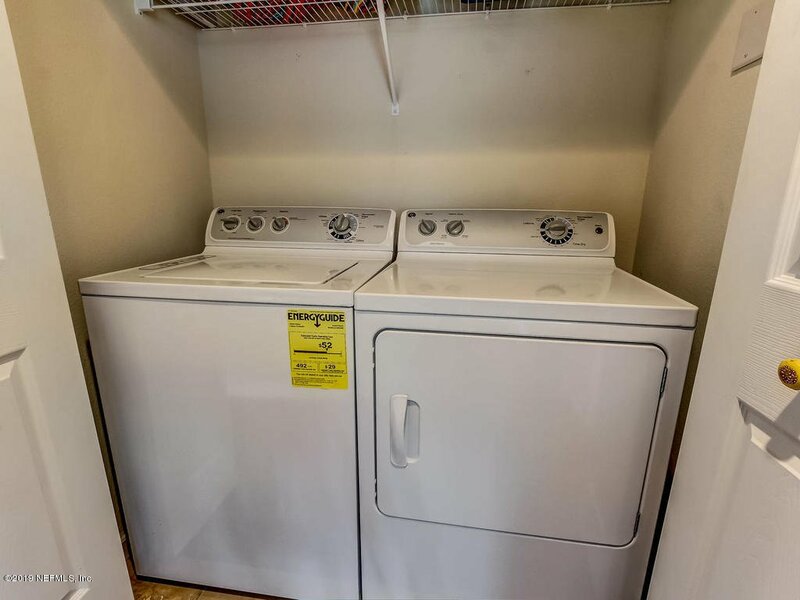 The location of this residence is perfect! 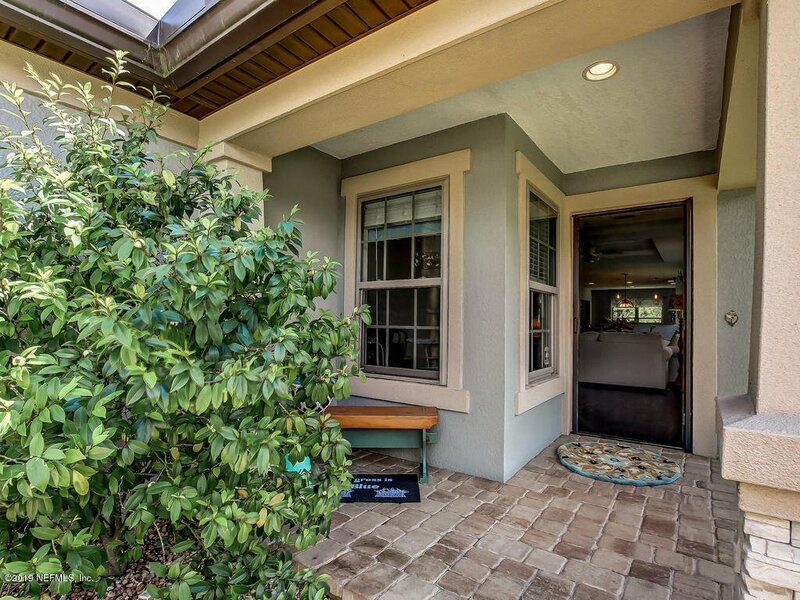 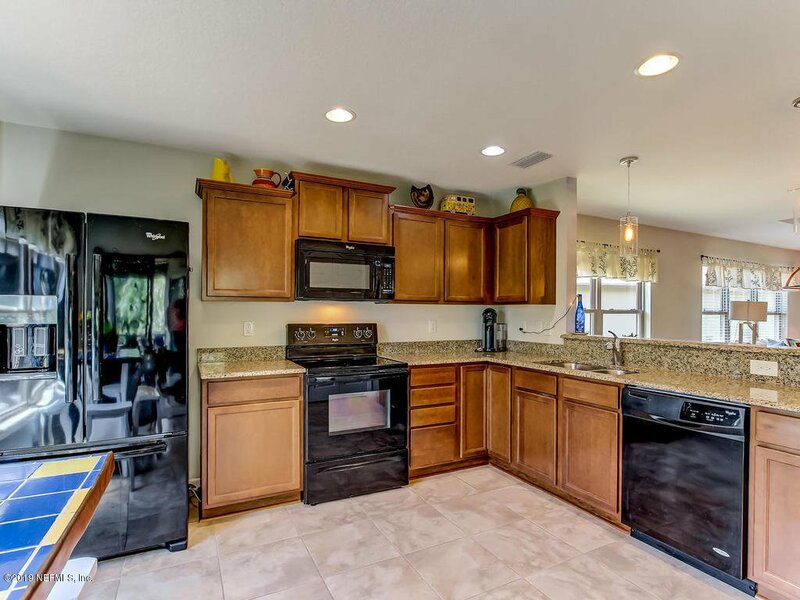 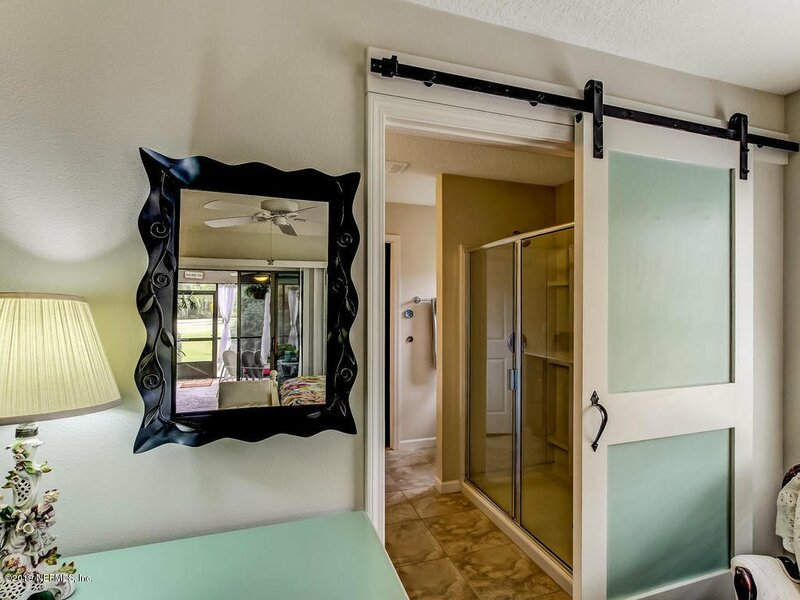 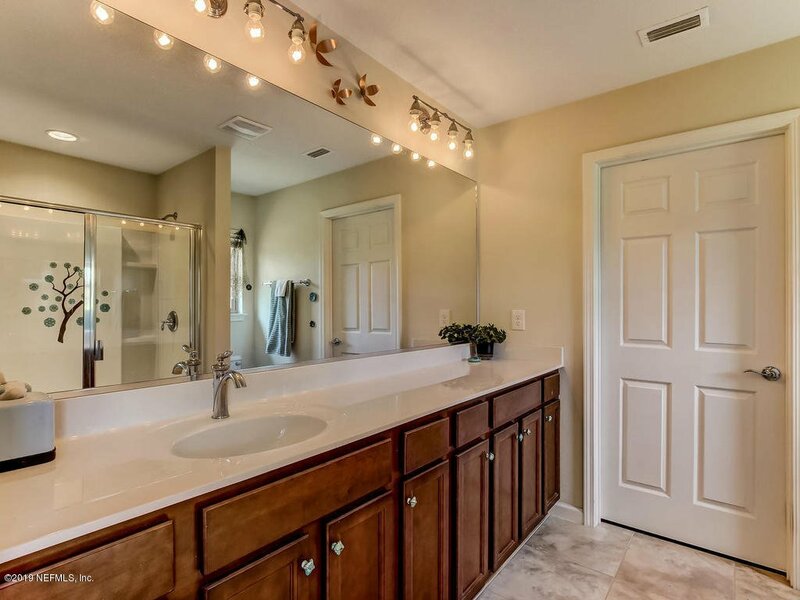 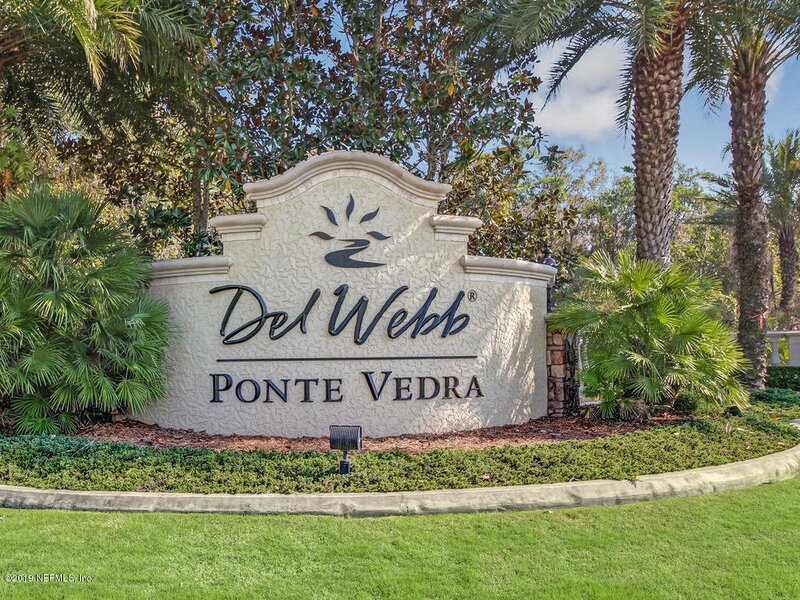 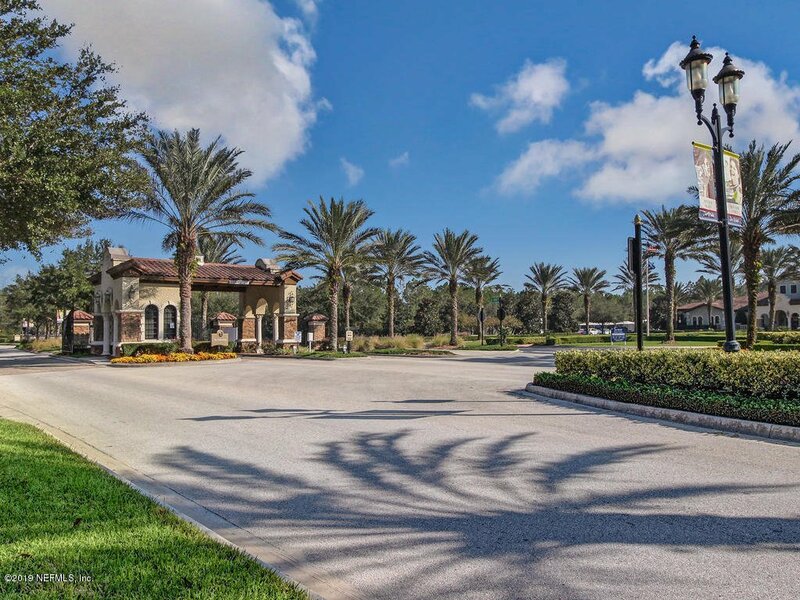 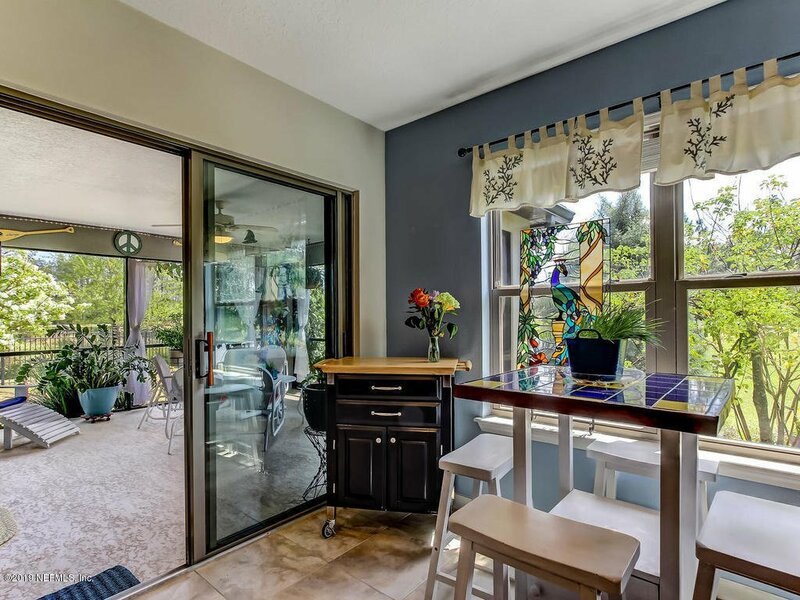 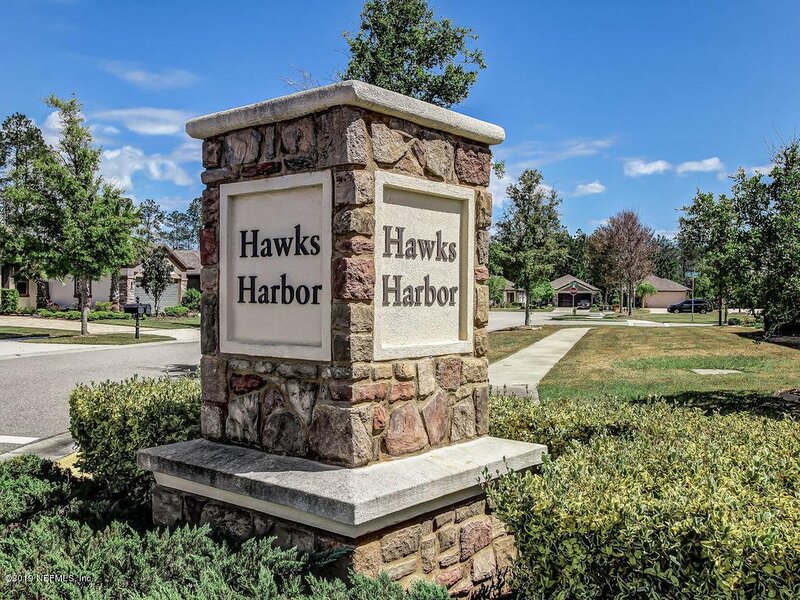 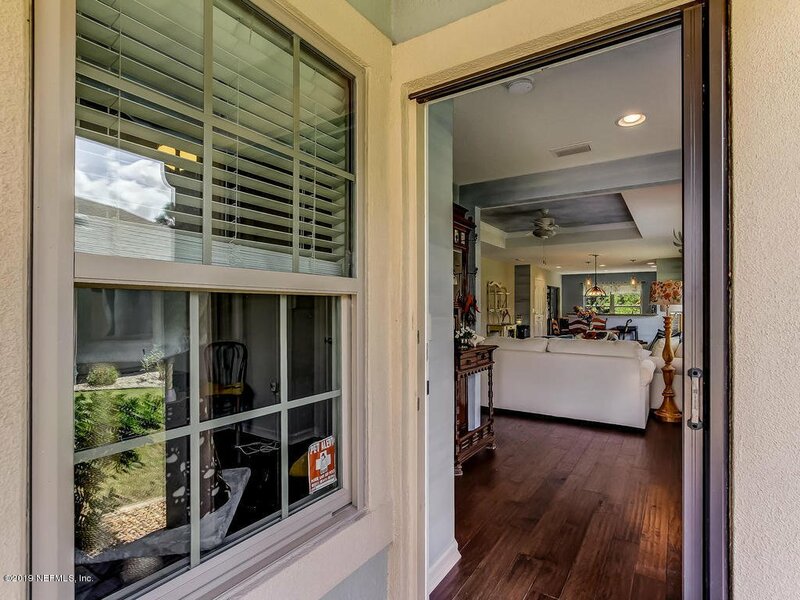 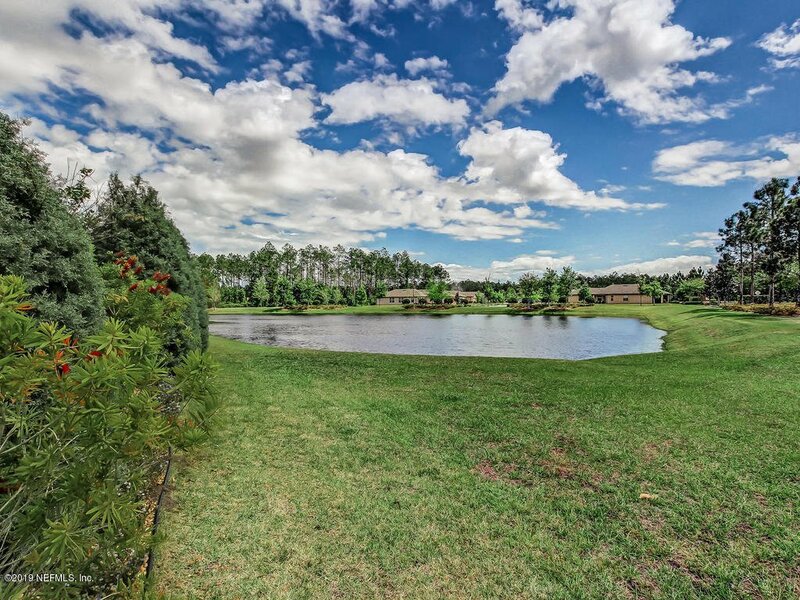 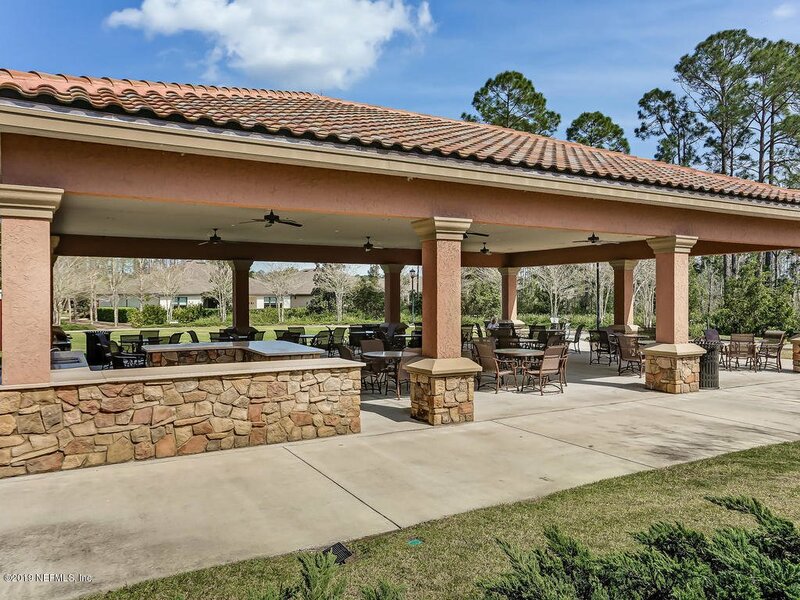 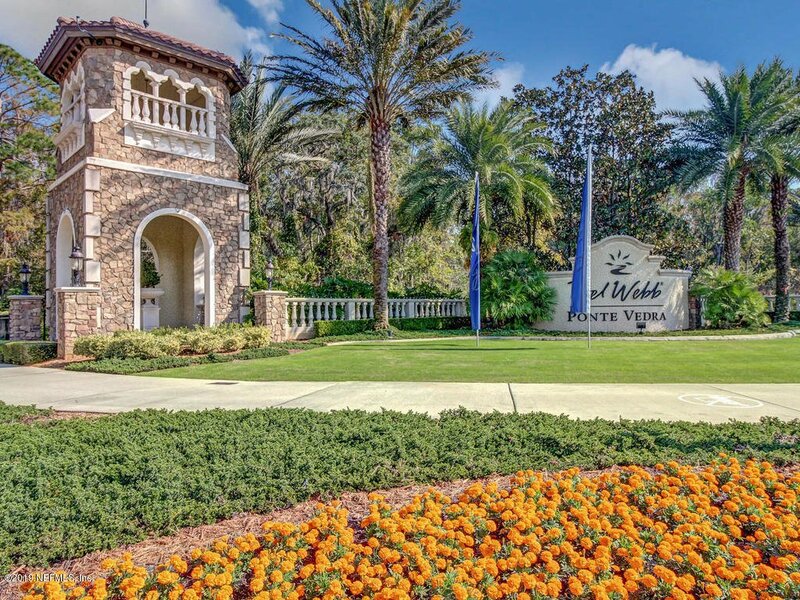 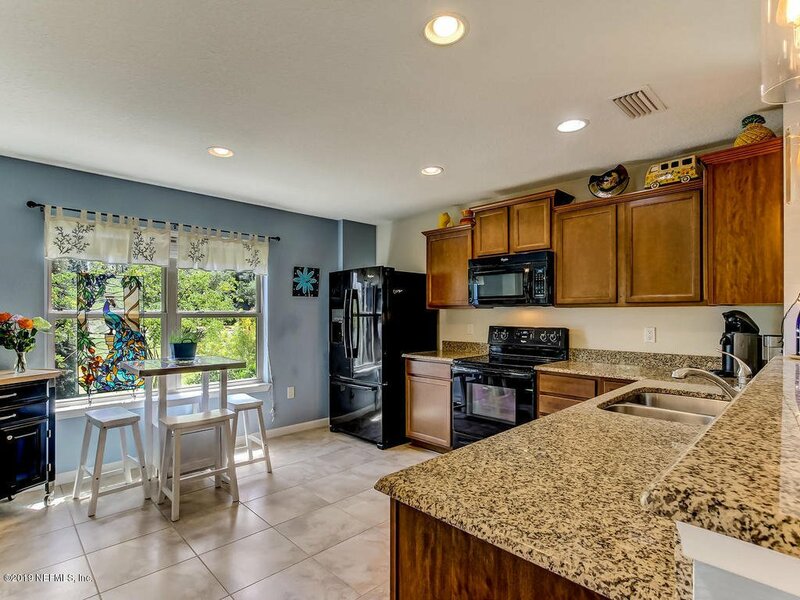 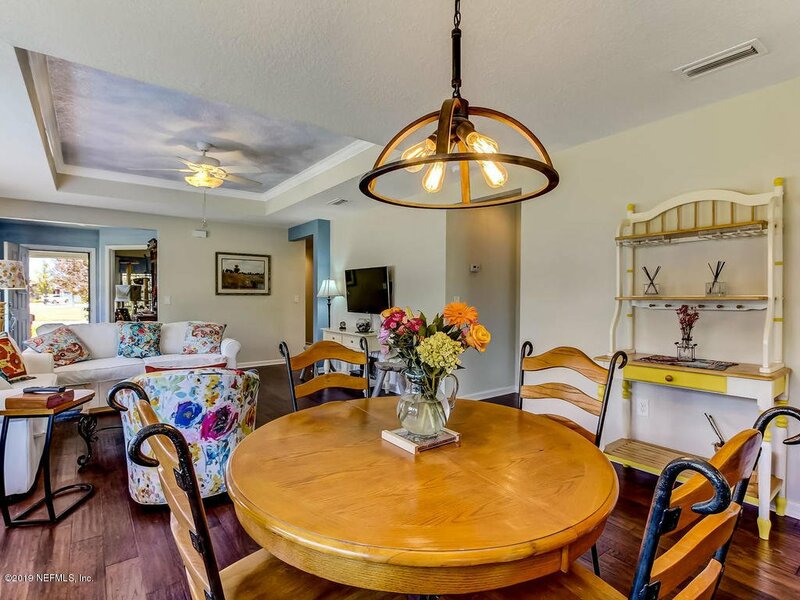 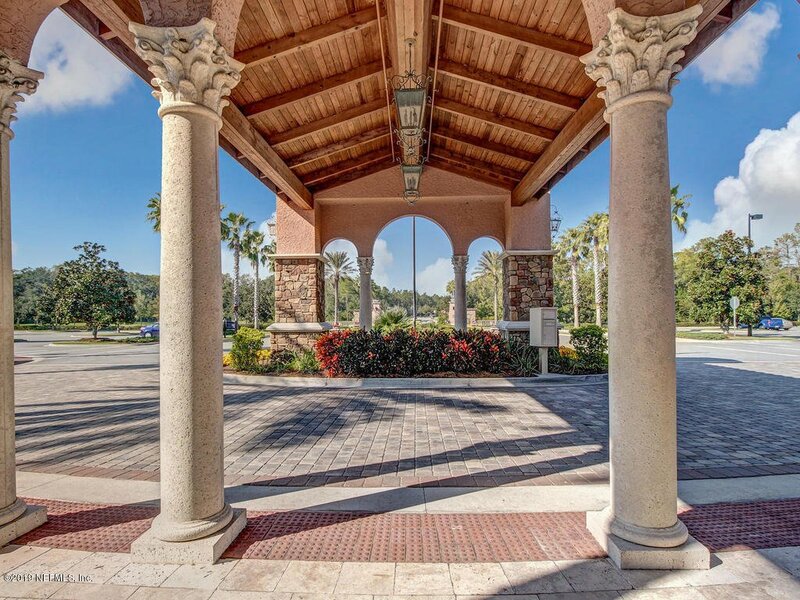 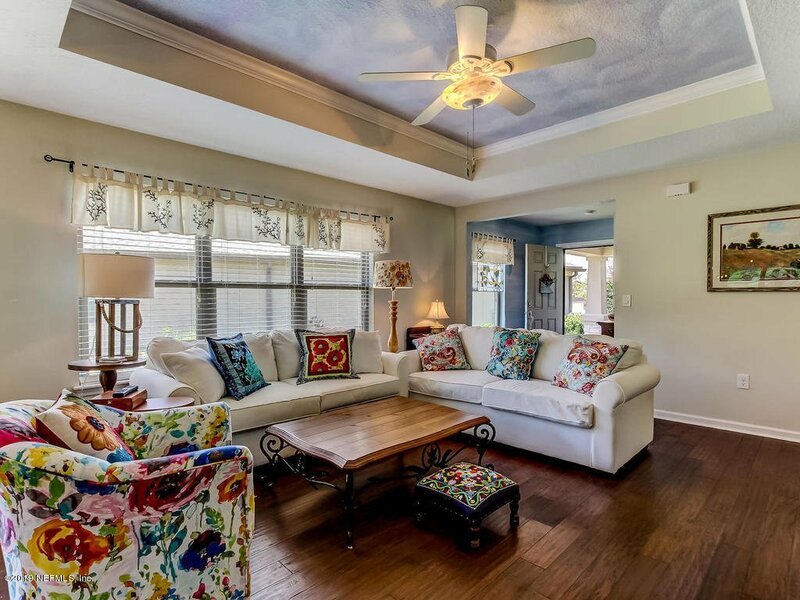 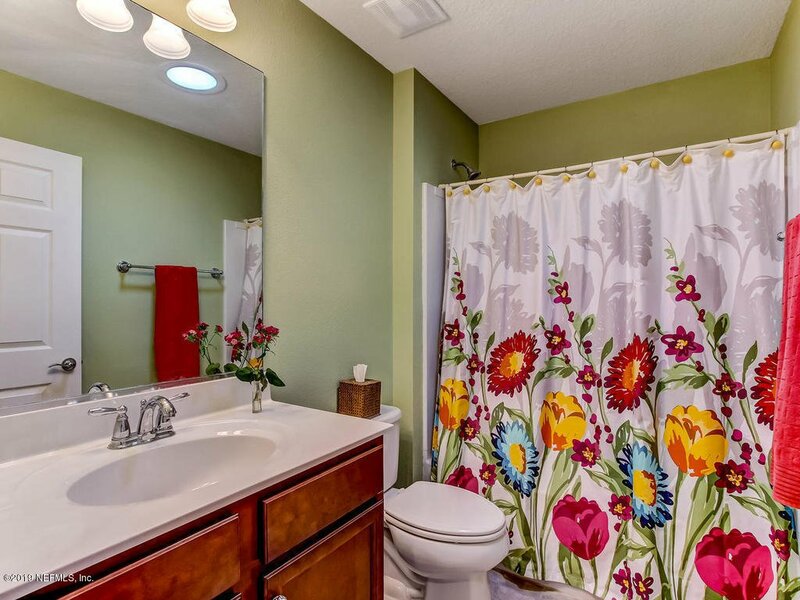 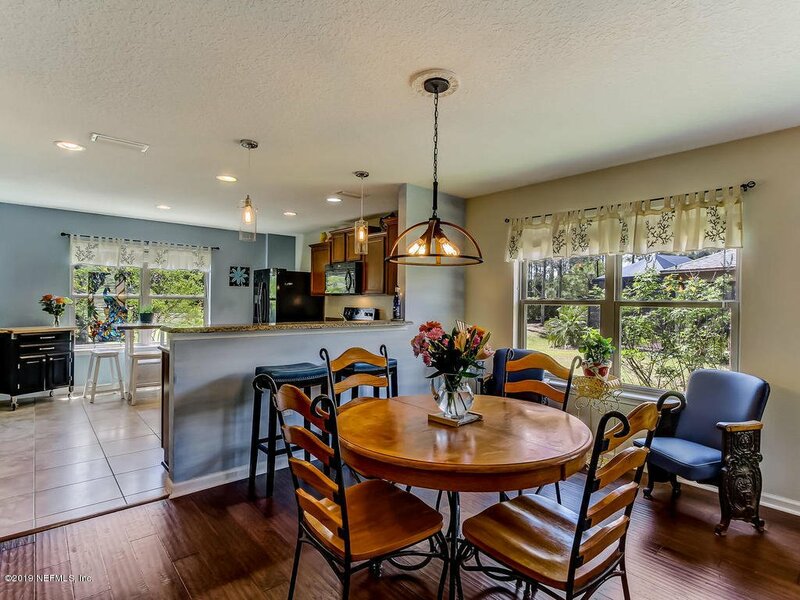 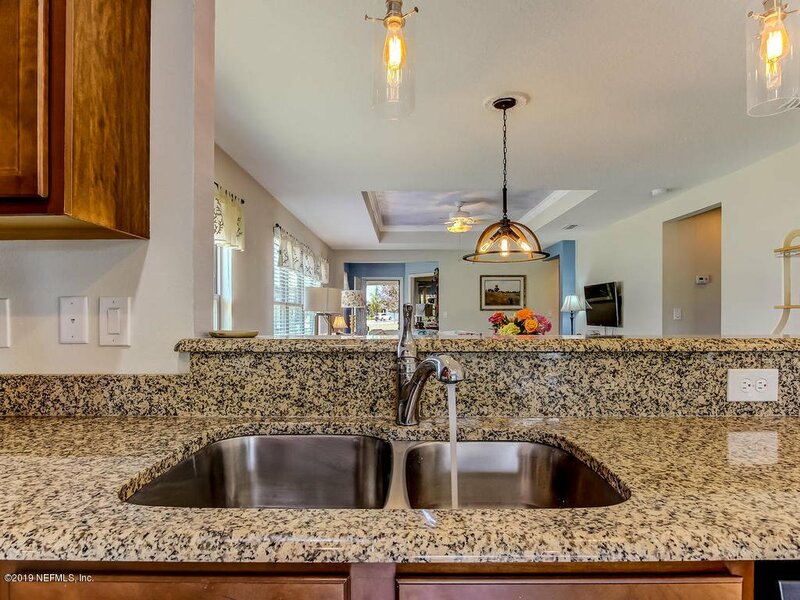 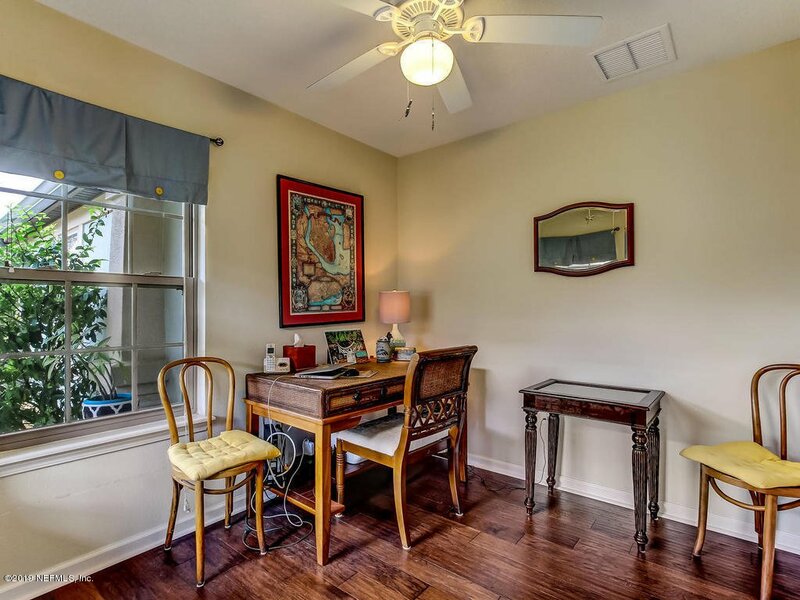 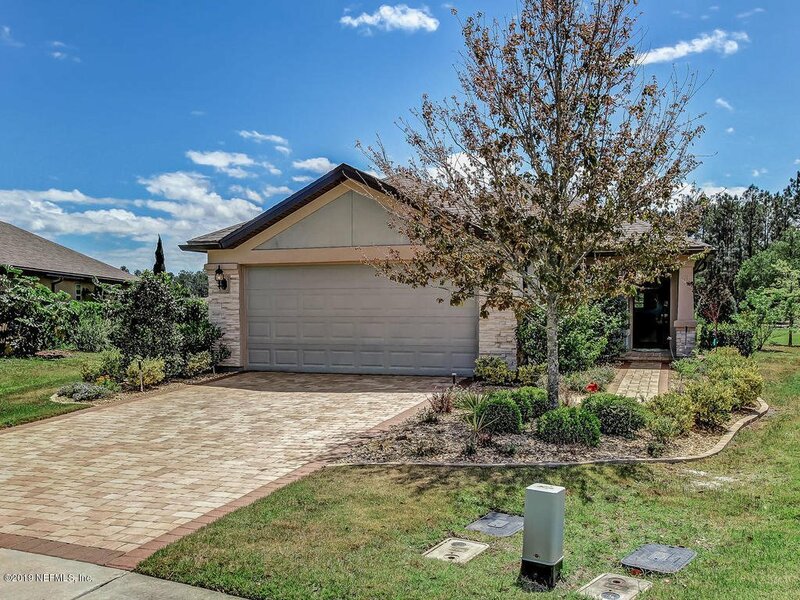 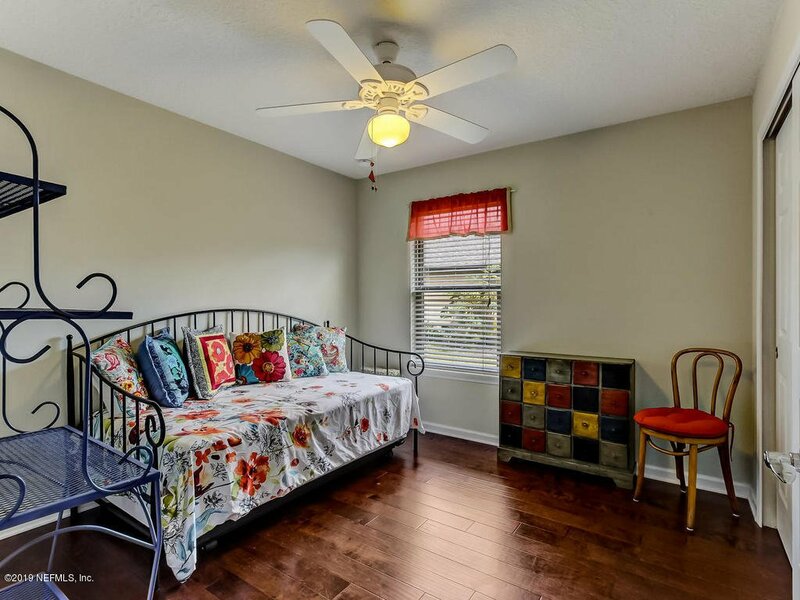 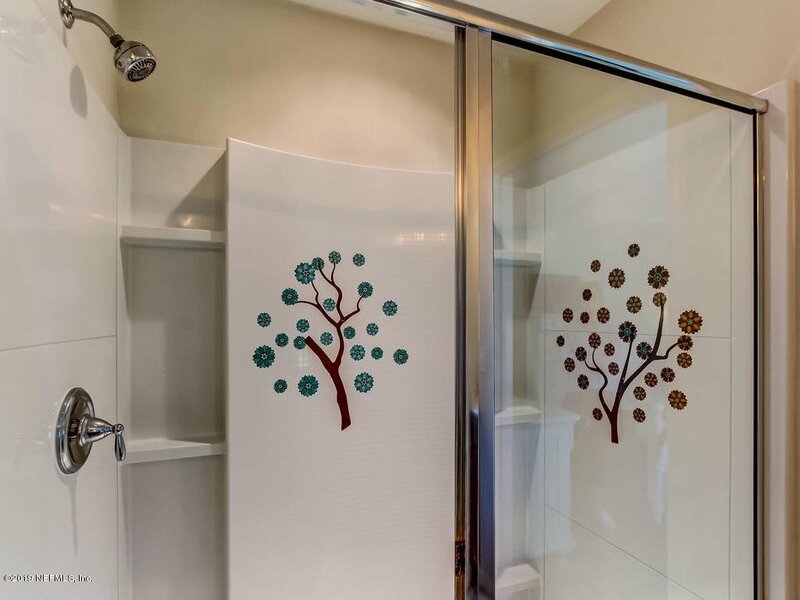 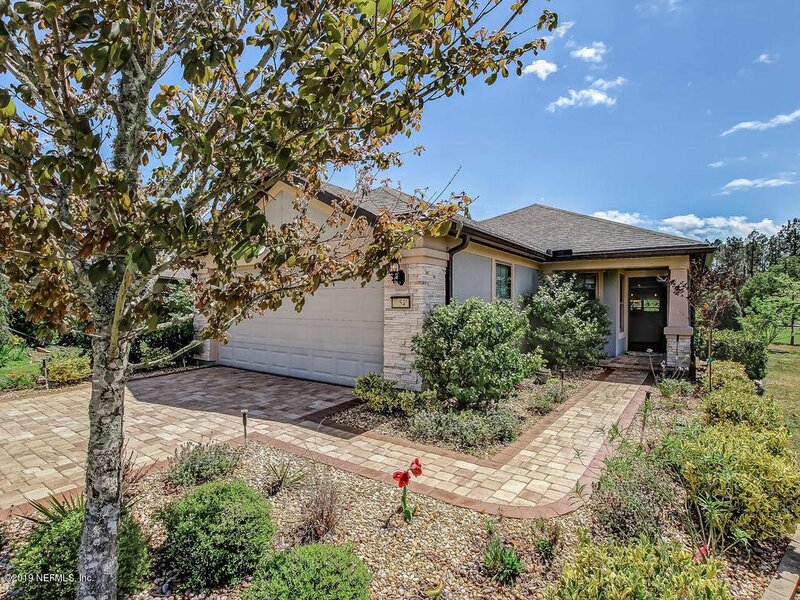 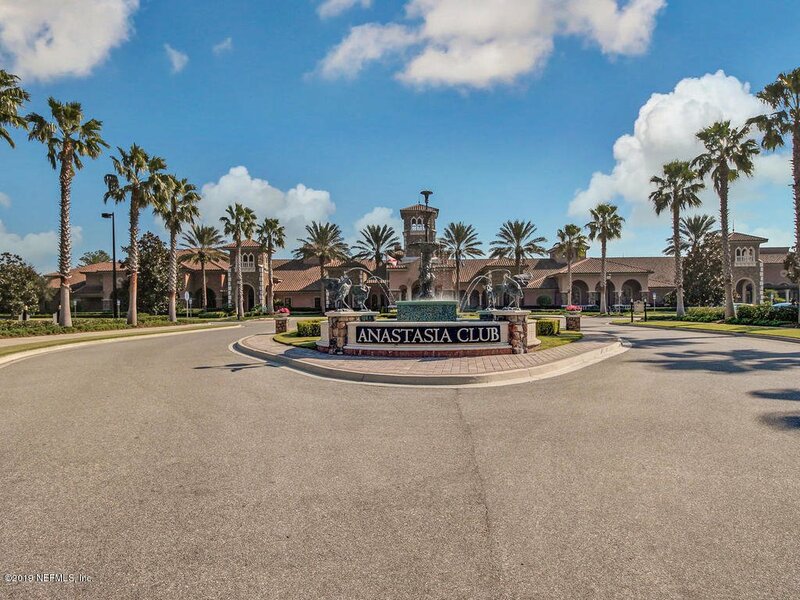 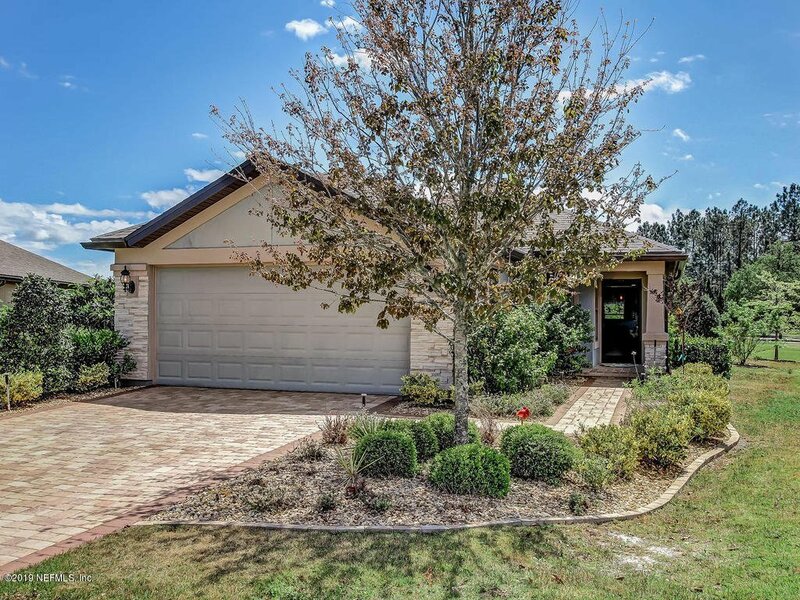 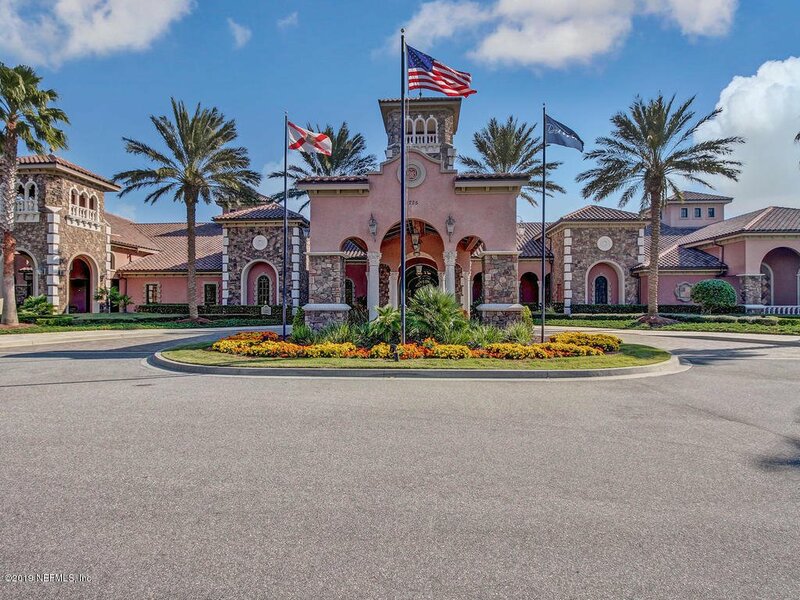 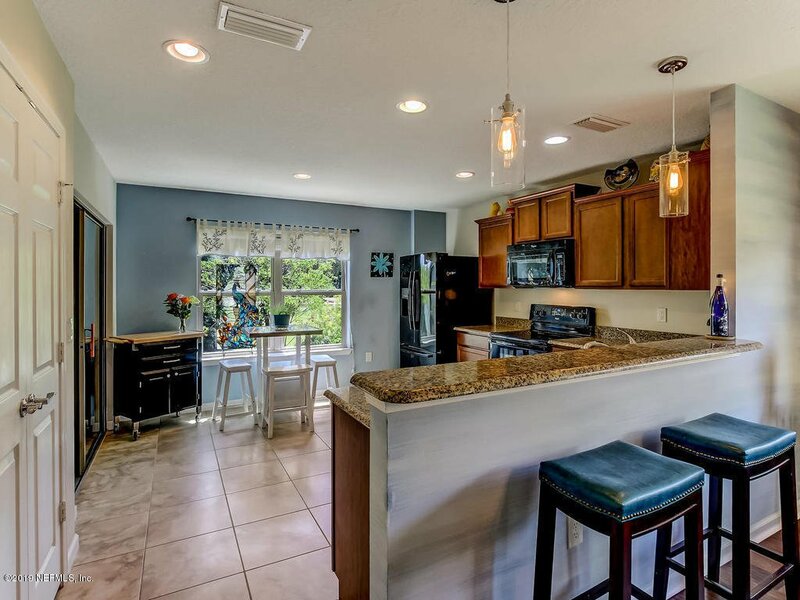 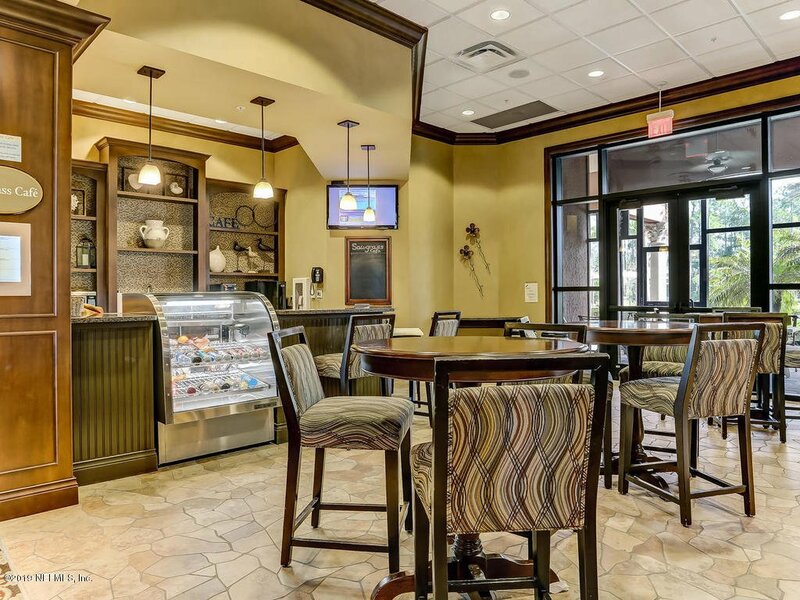 The home sits on a small cul de sac across from a little pocket park and you are only a short drive to all the wonderful amenities available to the residents of Del Webb Ponte Vedra, not to mention the amenities offered in Nocatee! 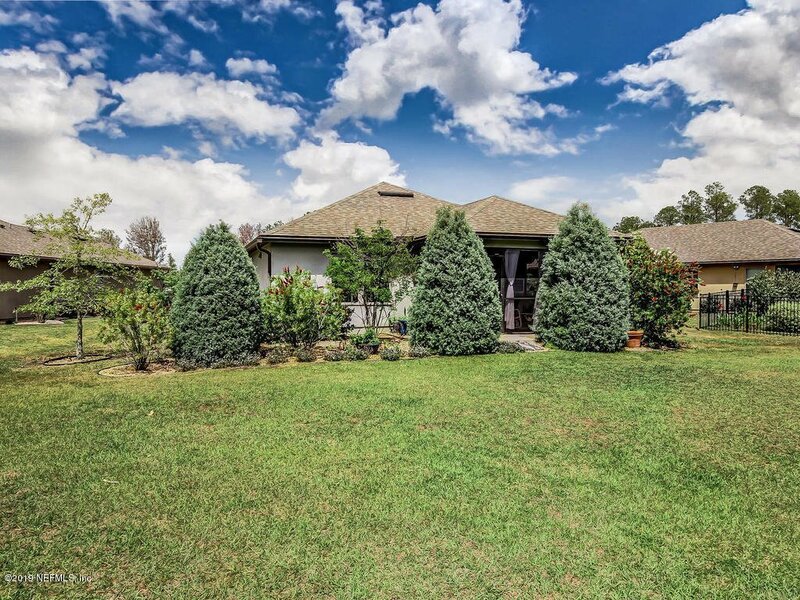 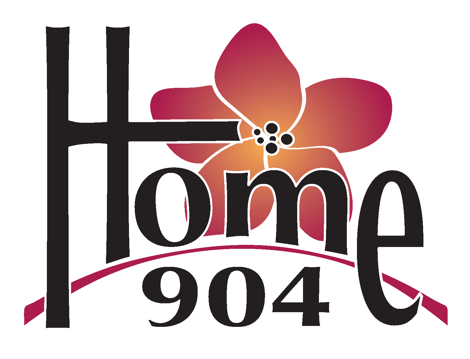 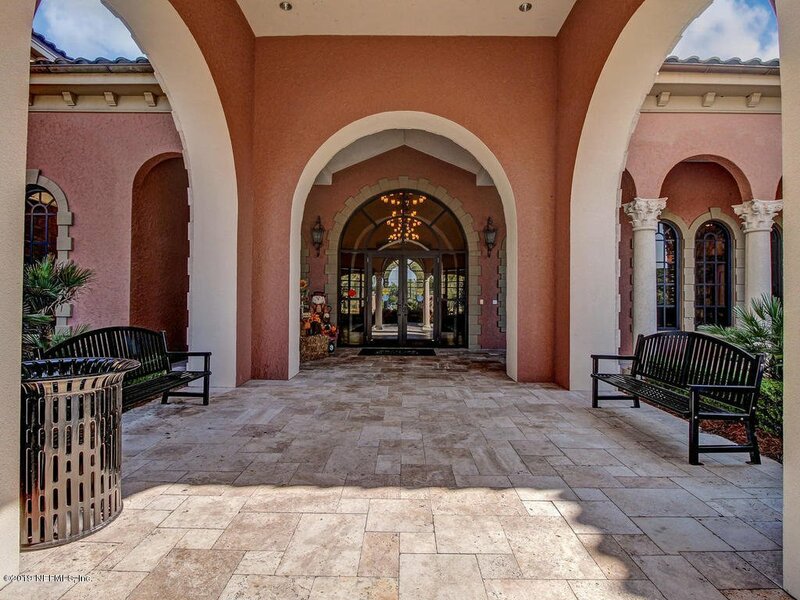 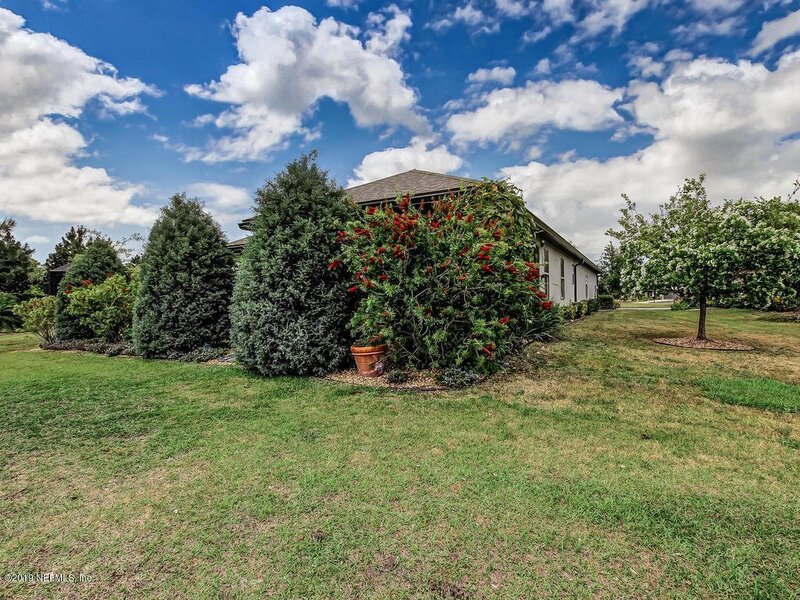 You do not want to miss the opportunity to call this rare beauty home! 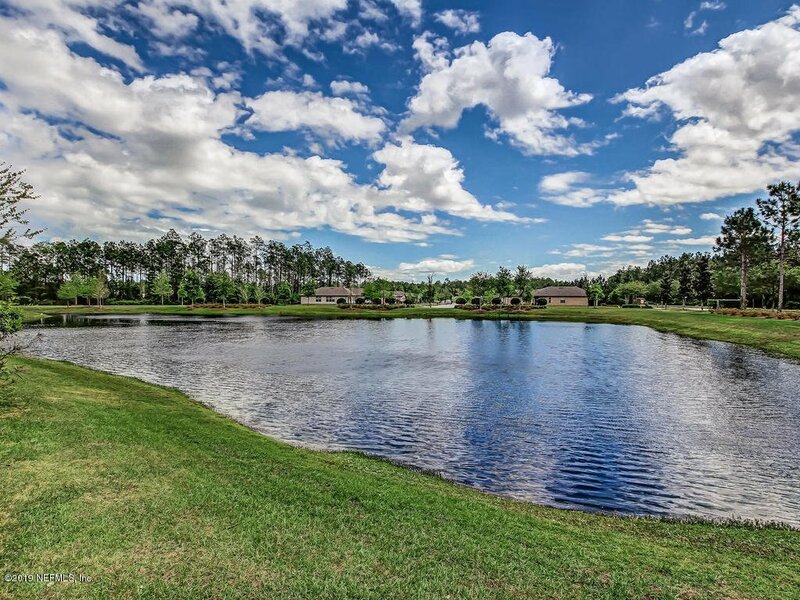 COMPLIMENTARY FULL GOLF MEMBERSHIP (OR MEMBERSHIP AT ANY LEVEL) TO MARSH LANDING COUNTRY CLUB IS INCLUDED. 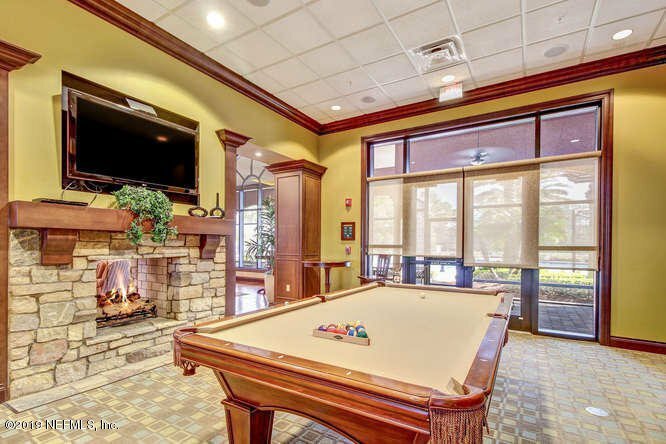 APPLICABLE MONTHLY DUES AND FEES APPLY.